Generally, a smart greenhouse should have several components like control system, HVAC system, irrigation system, growing light and others. With these systems, smart greenhouses are widely applied in the cultivations of Vegetables, Flowers & Ornamental, Fruit Plants, and Nursery Crops.Smart greenhouse is based on the vision of a greenhouse that would maintain a perfect micro-climate for a particular crop being cultivated inside. It would be perfectly tailored to the vegetation inside to maximize its efficiency. In some regions, smart greenhouse is also the best choice for water saving due to the advanced irrigation system. In recent years, people also access to electric power through solar-photovoltaic technology.Smart greenhouse has cognitive abilities to sense its surrounding environment and either use or block certain features to maintain the micro-climate. Such environment variables that are most important for crop are air temperature and soil humidity level. Control systems get information through specific sensors and compare it with set value to judge whether or not to change the state of HVAC system and irrigation system. Generally, a smart greenhouse should have several components like control system, HVAC system, irrigation system, growing light and others. With these systems, smart greenhouses are widely applied in the cultivations of Vegetables, Flowers & Ornamentals, Fruit Plants, and Nursery Crops.At present, in United States, Israel and Netherlands, the smart greenhouse industry is at a more advanced level, the world’s most advanced enterprises are mainly concentrated in these regions. These foreign companies have more advanced equipment, strong R & D capability, the technical level is in a leading position. But foreign companies’ manufacturing cost is relatively high, compared with Chinese companies, the manufacturing cost is a competitive disadvantage, as the Chinese smart greenhouse production enterprise technology continues to improve, their share in the international market is increasing, competitiveness in the international market gradually increase.Now the production and consumption are basically done locally, the import and export is not huge in each region. To study and analyze the global Smart Greenhouse consumption (value & volume) by key regions/countries, product type and application, history data from 2014 to 2018, and forecast to 2024. To understand the structure of Smart Greenhouse market by identifying its various subsegments. Focuses on the key global Smart Greenhouse manufacturers, to define, describe and analyze the sales volume, value, market share, market competition landscape, SWOT analysis and development plans in next few years. To analyze the Smart Greenhouse with respect to individual growth trends, future prospects, and their contribution to the total market. To project the consumption of Smart Greenhouse submarkets, with respect to key regions (along with their respective key countries). What will the Smart Greenhouse Market? What are the key factors driving the Global Smart Greenhouse Market? What are the key market trends in Smart Greenhouse Market? improve pasting the growth of the Smart Greenhouse Market? What are the challenges to Smart Greenhouse Market? What are the market opportunities and threats faced by the vendors in the Global Smart Greenhouse Market? 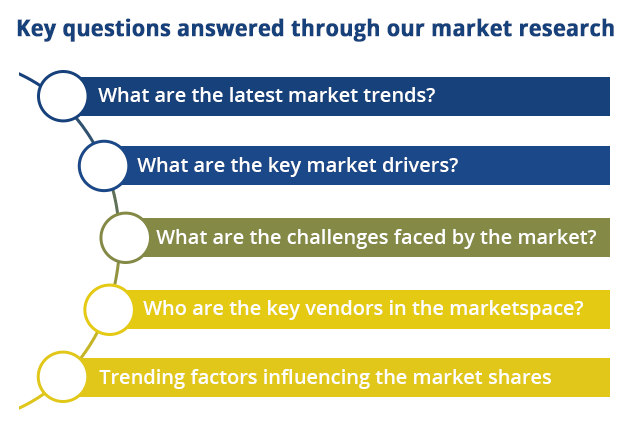 What are the key outcomes of the five forces analysis of Smart Greenhouse Market?